BANGI, Aug 8 2010 – The Islamic Banking system can prevent the sub-prime type of financial crisis that has bedeviled the Western world, says a Ph.D graduate who received his scroll during Universiti Kebangsaan Malaysia’s (UKM) 38thConvocation here yesterday. 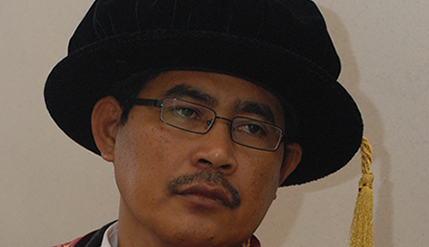 Suhal, 43, who is one of the 21 Indonesian scholars to be conferred their doctorate degrees by UKM, said he worked on his dissertation on International Islamic Fund for his Ph.D after joining the university in 2004. “It is a new industry that needs to be explored to see how it can contribute to the economy and industries,” he said in an interview here. In his dissertation, he said, he evaluated the performance of International Islamic Fund, factors that influenced that performance like laws, objectives of investment, market structure, “akar” or contract characteristics and so on. Suhal who goes by only one name as is common in Indonesia, said his main conclusion was that if the performance of Islamic banking is good, people would change to it from conventional banking. Suhal said in Islamic banking, a financial meltdown like the sub-prime mortgage crisis could not occur simply because the contract itself would avoid “gharar” or excessive uncertainties”. “You also cannot have more than three parties in a contract in Islamic banking,” he said, meaning that one could not have a financial derivatives built upon another derivatives. Suhal who is presently lecturing on Finance and Economics at Linton University College of Legenda Education Group in Mantin, is married with three children, two boys and a girl. Hailing from Bangkalen, Madura in East Java, he obtained his Bachelor degree from the University of Trunojoyo in Bangkalen and his Masters from the University of Padjadjaran in Bandung. Asked about his happiest moments in his varsity life, he said it was when he was accepted as a doctoral student after a comprehensive examination and when he finished defending his dissertation. “It was very tough, very difficult defending my dissertation, so much so that I was unhappy with some of my answers….. and when I was driving home, I was so pre-occupied that I took the wrong toll gate!” he laughed.